In 1889-90, Paul Gauguin spent time in Le Pouldu, an idyllic hamlet on the Atlantic coast of Brittany, 47 kilometres east of Pont-Aven, which had become a favourite hideout for several artists of the Pont-Aven School. 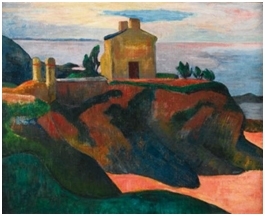 Le Pouldu`s isolation, dramatic windswept coastline and lush pastures attracted Gauguin, who found the resort town of Pont-Aven had become too modern and crowded. Gauguin stayed at La Buvette de la Plage, a small local inn owned by Marie Henry, right on the beach of Le Pouldu, only a stone`s throw away from the lonely house perched on a cliff above the ocean, depicted in this gouache. 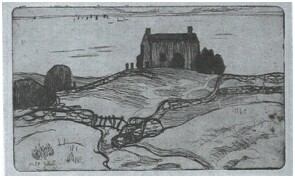 A postcard dated from around 1900, entitled Le Pouldu – La Pointe Pan’Mane aux Grands Sables, now the Museum of Pont-Aven, identifies the house in the present picture as the one standing on a rocky point between the beaches of Grands Sables and Port-Guerrec. 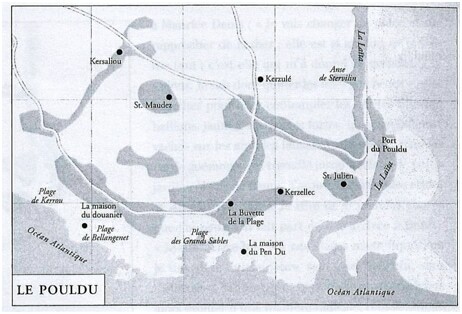 The name Pendu means “Black Head” in the local Breton dialect, referring to the outcrop of black granite rocks, typical for the region. The house still exists today and is a designated heritage building. It was erected in 1875 by Henri Louis Froidevaux, a notary from nearby Quimperlé, who used it as a summer retreat. 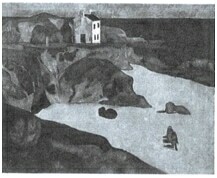 The quaint cottage apparently fascinated Gauguin, as it appears several times in his oeuvre. 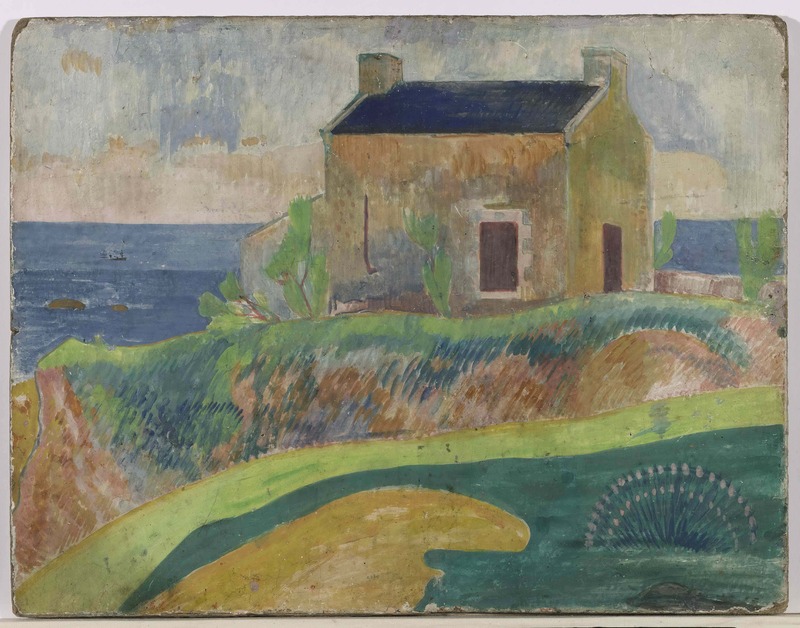 Aside from this gouache it is also subject of an oil painting, currently in a Canadian private collection, and a number of other of his works (W 344, W364, W396). 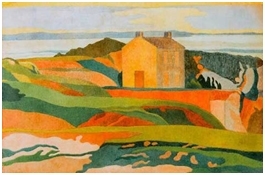 Fellow artist Paul Sérusier also featured the house in his work, as did Charles Filiger , and Armand Seguin. 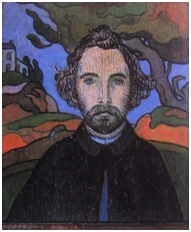 Paul Gauguin finally left Le Pouldu and La Buvette de la Plage in November 1890, without paying his bill to the young inn-keeper Marie Henry, who was expecting de Haan`s child. Gauguin and his painter friends in Brittany- Pont-Aven and Le Pouldu,exhibition catalogue in Centro Saint-Benin, Museo archeologico regionale, Aosta, Italy, July 3-Nov. 7, 1993, p.